There have been more than a few changes around the intersection of North Florissant Avenue, 13th Street and Cass Avenue lately. In the past, I have lamented the destruction of the Crunden Library at 14th and Cass and the Brecht Butcher Supply Company buildings on Cass, noted (with a degree of lament) the fiery loss of an old bus maintenance garage on 14th and recently observed the National Register of Historic Places nomination for the old Cass Bank and Trust Company Building at 13th and Cass. 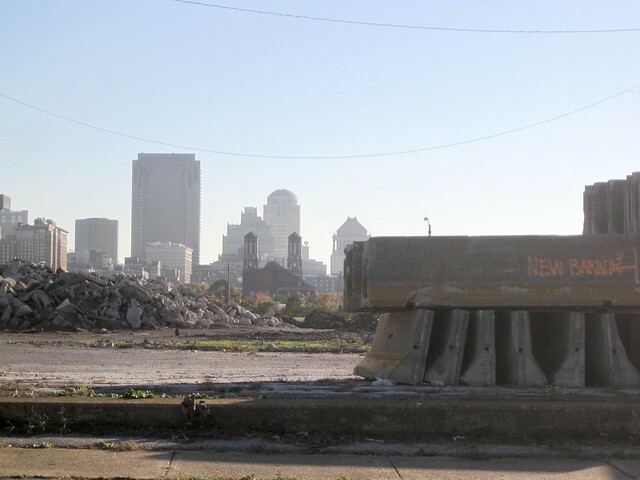 Once upon a time, before a change in plans in 2007, I protested the proposed ramp system feeding the Mississippi River Bridge that would have cut right across the intersection and severed downtown from Old North forever. Oh, and then there is the whole matter of Northside Regeneration! A lot can change a small area in five years’ time. Northside Regeneration, then known as Allston Alliance LC, purchased the old Schnucks store on Cass Avenue and eventually persuaded the Missouri Department of Transportation to route the bridge landing across that site to connect with Tucker Boulevard. Tucker is now being rebuilt by the removal and infill of the Illinois Traction System cut upon which it was built in 1932. 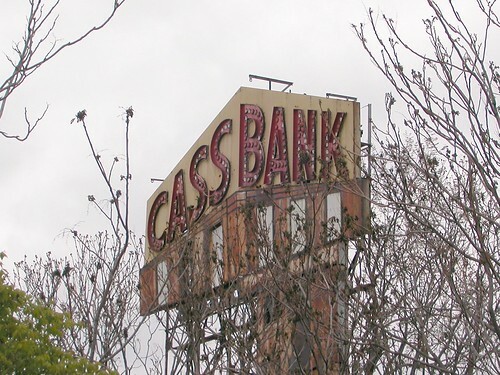 All of those big changes entailed removal of a very small thing, the once-shining Cass Bank sign that faced the northbound interurban trains of the Illinois Traction System. The sign was incandescent, with bulbs placed in channels spelling the bank’s name. Deposit with us, the sign beckoned to all those yearning for a place to put their hard-earned money. All others could enjoy its bright lights which would have shone in the fall-winter dusk on their ride home from downtown. The lights went out years ago, after the trains stopped running in 1956, but the Cass Bank sign stood amid the jungle growing from the cut. Standing behind the current Cass Bank home on North 13th Street, the sign was in the way of the new bridge-to-Tucker connection. And it disappeared earlier this year. Does anyone know what happened to it? Could its pointed wedge have been spared as a reminder of part of the history of a site now flattened into the future? This entry was posted in Columbus Square, North St. Louis, Northside Regeneration, Signs. Bookmark the permalink. 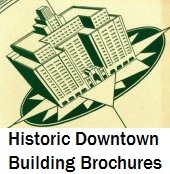 I like how the sign follows the shape of the building along a two-point perspective. Very nice. Too bad it was probably scrapped. I have no evidence for that, but I can’t imagine MODUMB saving anything like this. Just my two cents. I was so sad when I noticed the sign disappeared earlier this year. I hope that it’s in good hands (and wasn’t “scrapped”). Thanks for reporting on its disappearance. This landmark is missed.